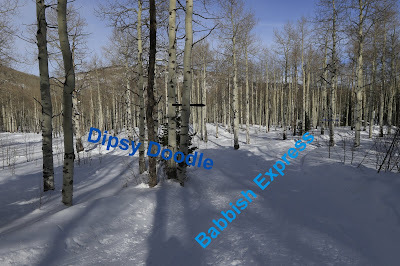 Babbish Express is located in the Sunlight Mountain Resort Nordic Area near Glenwood Springs, Colorado. 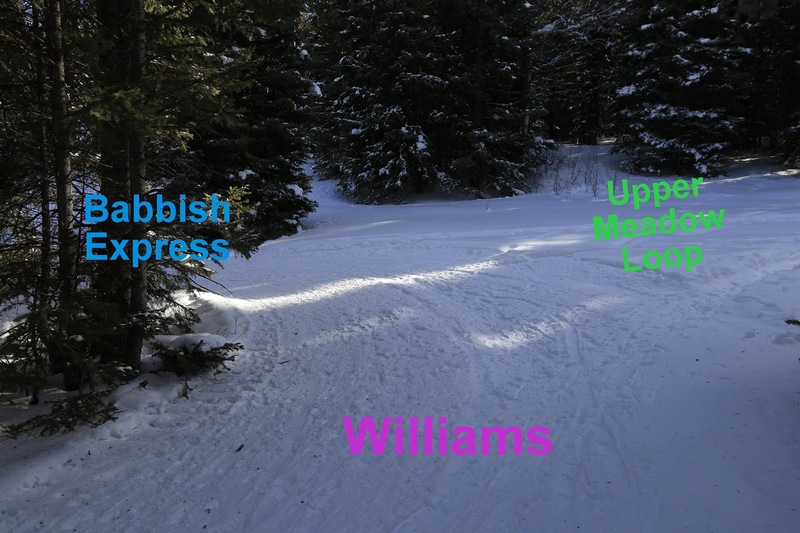 The groomed trail begins at the cabin shelter where the Williams trail comes to an end. 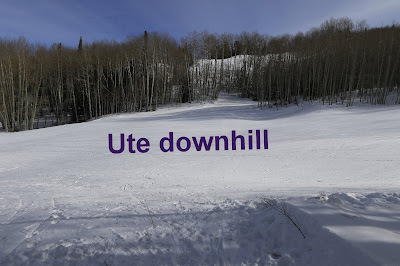 From there it climbs around the northeast side of Compass Peak until it reaches the Ute downhill ski run. Enroute it is connected to by the Upper Meadow Loop, the Compass trail and the Dipsy Doodle trail. The small cabin shelter is 1.5 miles from the Upper trailhead along Forest Road #300 at the end of the Williams trail. From the Base trailhead the distance is about 2.7 miles. Just past the shelter the groomed trail makes a shallow dip and rounds a corner where the Upper Meadow Loop branches off on the right. From there the trail passes through some tall stands of dark timber. Before reaching the quarter mile point the Babbish Express comes to the spot where the Compass trail branches off on the right. The Compass trail is a steep groomed route the leads up to the top of the Ute downhill ski trail just below the summit of Compass Peak. A few hundred feet past the junction with the Compass trail is where the Dipsy Doodle trail branches off on the left. From there the Babbish Express trail heads off on its own as it travels around the side of the mountain. Going in this direction the Babbish Express is almost entirely uphill although it never does get especially steep. It doesn't seem that there are that many skate skiers in the area but their tracks do appear occasionally. Most of the cross country skiers that we noticed where either classic or backcountry. 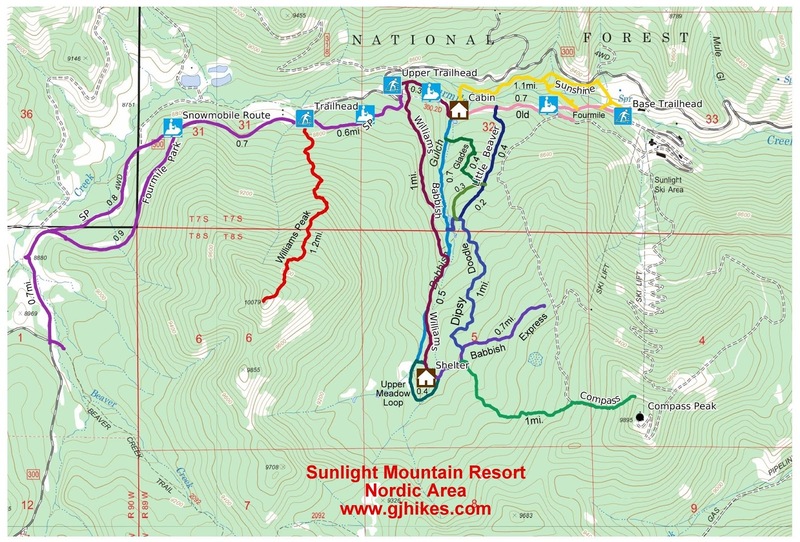 Besides skiers there are a large number of snowshoers and fat tire mountain bikes as well as trail runners. This is one of those places where everyone seems to get along just fine together. It's actually rather refreshing. Besides the good company its hard not to enjoy peaceful settings like this. Babbish Express ends when it comes out on the Ute downhill ski run. 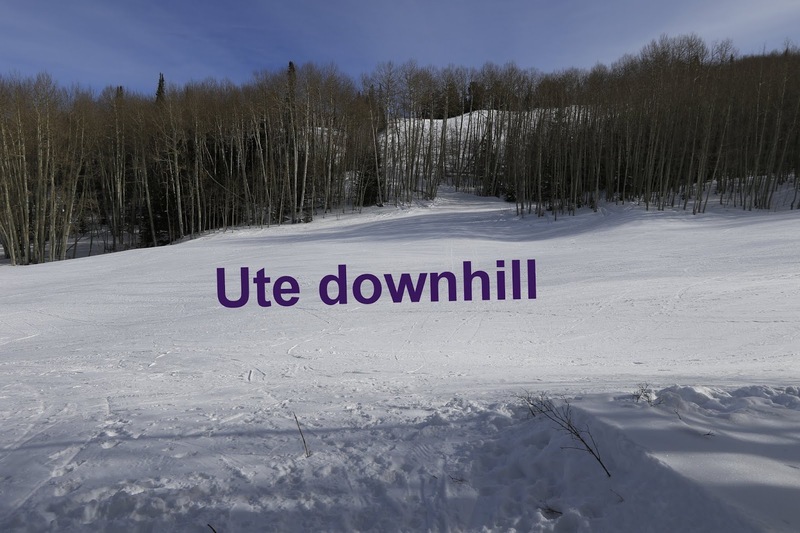 Judging from a few of the tracks it looks like a couple of backcountry skiers took the Ute trail to get down the mountain. The Babbish Express trail doesn't get as much use as some of the other trails in the area once it gets past its junction with the Dipsy Doodle trail. For most people going past that point it becomes an out-and-back. Nonetheless, it is worth checking out. If you would like to see it for yourself then all you have to do is 'Take a hike'.